Finally, A Town for Bikers! I’m a very lucky bike commuter—my little California beach town is full of 3-foot bike lanes on all of the major roads. The only hairy part of my commute is merging with traffic when the bike lane ends before the freeway on-ramp. Most bike commuters aren’t so lucky and have to deal with narrow streets, rude drivers and random idiocy. However, a town in South Carolina is looking to change things and become a bike-only community (although cars are allowed to park on the outskirts of town). Bicycle City LLC has selected Gaston, South Carolina as the first car-free community. 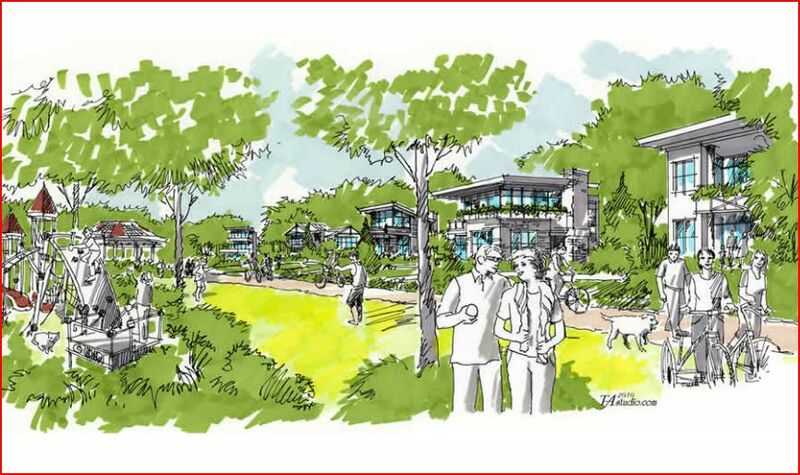 In addition to encouraging cycling and walking, all homes will be build in compliance with LEED standards and rely on clean energy. The community is located near the Three Rivers Greenway, an existing bike trail, and is close to Columbia, an established bicycle-friendly city. 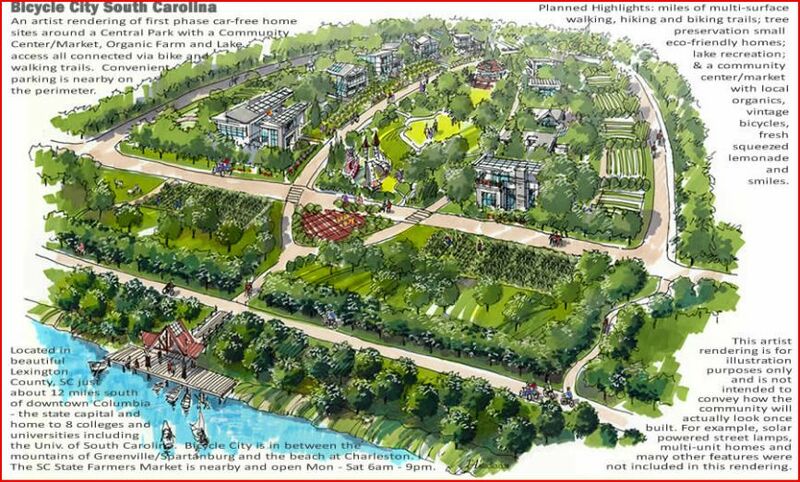 Situated between the mountains and the ocean, this Bicycle City boasts a myriad of amenities to its future residents. Currently, only trail work is underway, but interested parties can reserve a home site in the community. 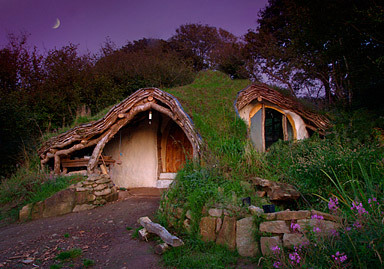 Throw in a hobbit house, like the sustainable one built in Wales, and consider me sold. Built by Simon Dale, the house was built with the environment in mind, touting straw bales for insulation, reclaimed and locally-sourced materials, natural ventilation, solar panels, gravity-fed water, compost toilet and a rainwater catchment system. Plus it took 1000-1500 man hours and £3,000 (about US$4,650). According to his website, Dale built the home for his family in order to live the life they wanted to lead, without the burdens of a mortgage payment or rent. He also did it to meet the challenges of sustainable land use issues and energy consumption. Armed with tools, motivation and a little help from his friends, he completed the home in four months. Since this project was a success, he’s in the process of building a home within an eco-village in Wales that is part of the Lammas Project.